With Mobile Extension, you can take your office number with you when you’re on the road. It provides you with access to system features such as caller ID, call transfer and voicemail and it really is like being in the office, whether you’re traveling or sitting in traffic or just sitting in Starbucks. Company specialists can now be empowered to maintain high service standards when out of the office, helping you make the most of the most valuable members of your staff. 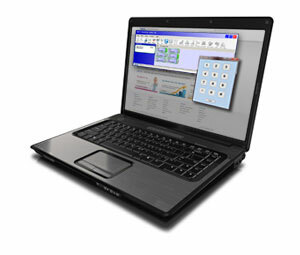 Mobile Extension is also a great home office alternative to an IP phone for traveling staff members. Salespeople can use Mobile Extension to ensure that even when they’re on the road, they never miss a call which could lead to a new business opportunity. With DECT handsets for wireless voice communications, you can keep in-touch with customers and colleagues from any in-building location. Don’t be tied to your desk anymore. The SL1100 Desktop Suite’s Softphone is a portable telephony application, offering you system phone functionality from your laptop, from wherever you are; ideal for remote and mobile workers. With the Softphone, your workers will have the communications tools they need to work efficiently and productively, whether they’re in the office or on the road. SIP trunking has been shown to dramatically reduce monthly recurring operating costs over traditional digital telephony services. NEC’s SL1100 communications systems are SIP-certified with a variety of service and technology providers. Call Teleco today to see what SIP providers are best for your business. Call Center Functionality makes the SL1100 one of the most sophisticated small business telephone systems made. You can add large business, call center features without the large business price. ACD lets caller queue up for sales or service and you answer calls in the order that they were received.